Nokia to release 12MP cameraphone in 2010? Nokia may be planning a 12MP cameraphone to boost its flagship line up, with the likely unveiling at the next Mobile World Congress. 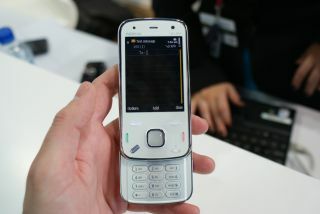 Although unconfirmed by Nokia, the plan is apparently to release a phone with a similar form factor to the candybar N86, rather than going down the chunky route of the N92 and N93, which bolted a massive lens onto the side of the phone. PhoneReport is claiming its sources at Nokia and Carl Zeiss (the lens manufacturer for most high end Nokia cameraphones) have confirmed the plans, although it won't be debuted in time for Nokia World in September. Nokia has taken a while to catch up to the 8MP cameraphone battle between Sony Ericsson, LG and Samsung, which apparently is due to improving the quality of its 8MP snaps to remove noise and other artefacting from the sensor. Given that Samsung has yet to fully unveil the Pixon 12 and Sony Ericsson has given no clear date when the Satio will launch, 12MP cameraphones are still yet to debut, with LG promising the same later in the year.